AOL (formerly America Online) is a US-based web services provider. Approximately 4.5 million people have AOL Mail accounts. 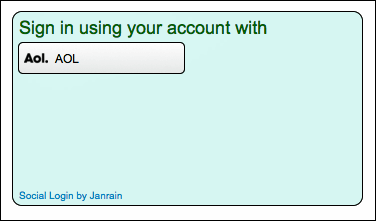 Use the Social Login Dashboard to enable AOL as a social login provider. No additional configuration is required. From the list of Providers, click AOL. AOL appears in your social login widget. When you are finished, select Save and Publish and then click Publish. 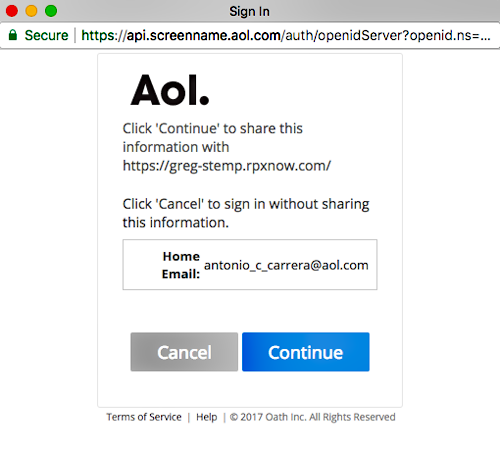 It might take as long as one hour before AOL appears as a social login option on your web site. 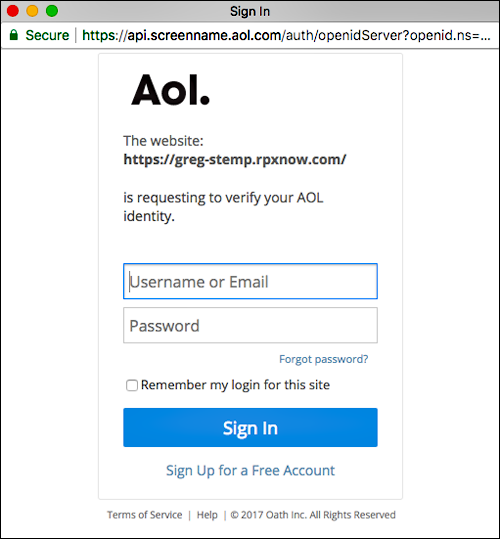 The AOL account used in the test. The profile information you requested for AOL. From the Configure Providers page, click AOL. Fields not marked with an Off or an Ask label are automatically returned when a user logs on using an AOL account. The user can either click Continue to forward all the requested information, or can click Cancel to terminate logon. In the widget, click the X in the upper right corner of the AOL icon. Scroll to the bottom of the page, select Save and Publish, and then click Publish. AOL no longer appears in the sign-on widget.